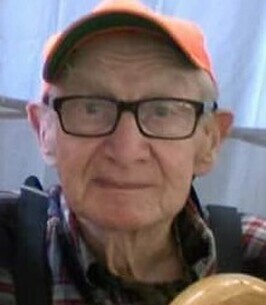 Jack Hopple Service Details - Lewistown, Pennsylvania | Barr Funeral Home Inc.
Jack G. Hopple, 86, of Lewistown, passed away at 7:49 p.m. on Thursday September 6, 2018 at his home. Born May 31, 1932, in Oliver Township, he was the son of the late, Charles and Mabel (Weaver) Hopple. In addition to his parents, he was preceded in death by a sister, Rosie Hopple. Jack is survived by his siblings, Wesley Hopple and wife Mary, of Mexico, and Jay Hopple and wife Nellie of Lewistown, and numerous nieces and nephews. He was employed at Overhead Door for many years, retiring in 1999. Earlier in life, he was a chef at the City Line Diner, and Driftwood Bar and Grill. He enjoyed hunting, fishing, and spending time at his family’s camp. He was a volunteer firefighter at West Granville Fire Co.
A Graveside service in loving memory of Jack will be held at 2:00 p.m. on Wednesday September 12, 2018 at Mattawanna Cemeter, with Rev. Darvin Donahey officiating. Arrangements are under the care of The Barr Funeral Home Inc. and Crematory, 120 Logan Street. In lieu of flowers, memorial contributions in Jack’s memory are respectfully encouraged to The Salvation Army, 9 S. Dorcas St, Lewistown PA 17044. To send flowers to the family of Jack G. Hopple, please visit our Heartfelt Sympathies Store. We are sorry to hear of your loss.You have our thoughts and fond memories of a last of his kind type of gentleman. To us Jack was a style of person not made anymore, old school and a handshake was all that was needed.God speed.